Home java What is the use of javap command in java? What is the use of javap command in java? javap is the tool provided by the java language which was bundled with JDK software. 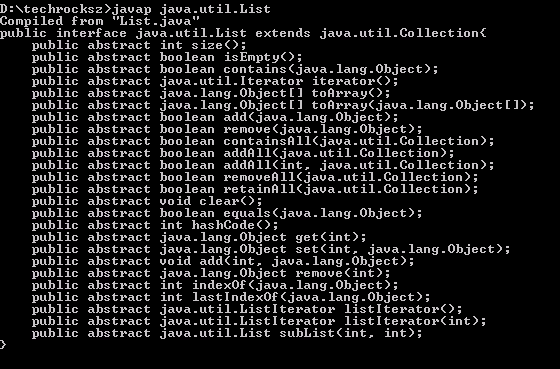 This tool (javap is located in JAVA_HOME\bin location) which is used by many Java developers to find the different member variables and methods for any Java object. classes - single or multiple classes Options there are command line options to control configurations. Good post I appriciate ..!